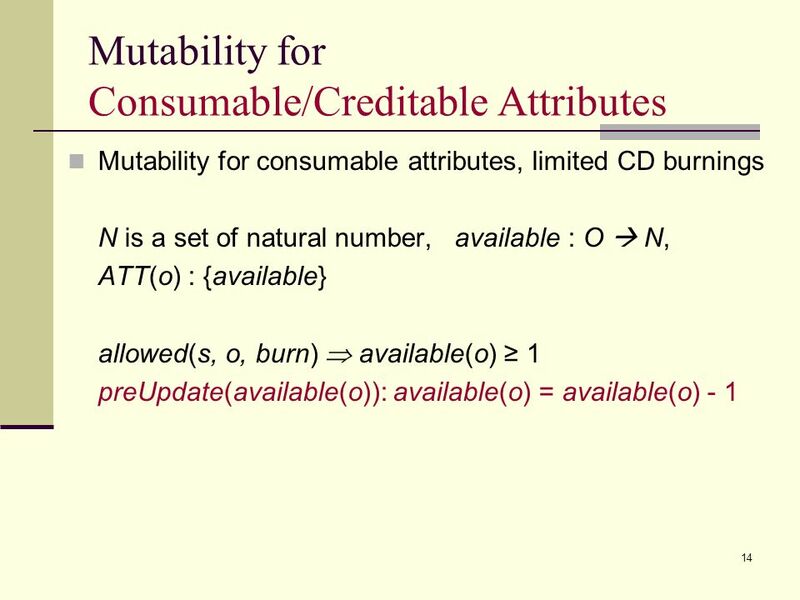 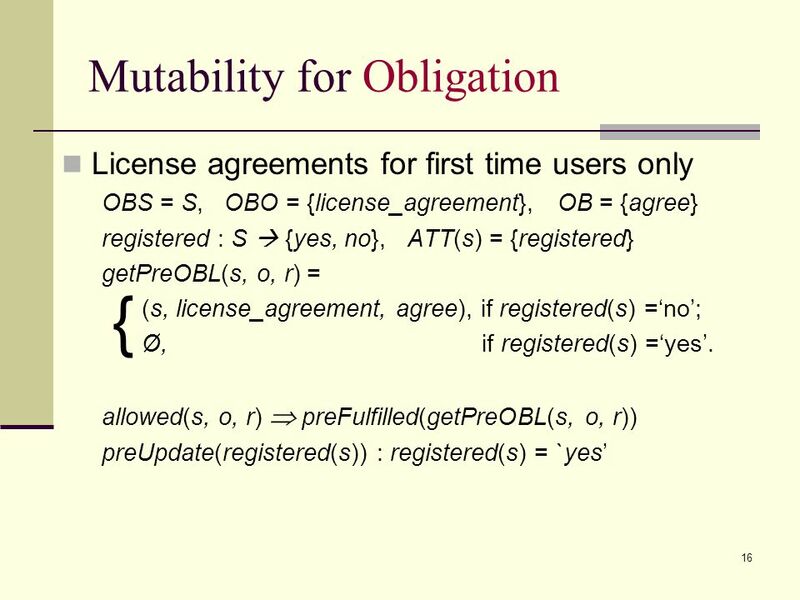 Attribute Mutability in Usage Control July 26, 2004, IFIP WG11.3 Jaehong Park, University of Maryland University College Xinwen Zhang, George Mason University. 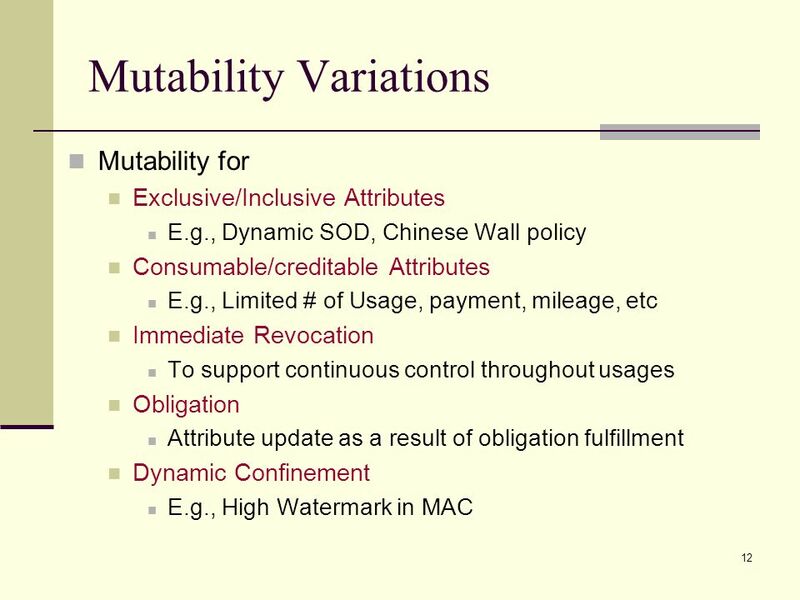 2 2 Traditional Access Control: Limitations Traditional access control models are not adequate for todays distributed, network- connected digital environment. 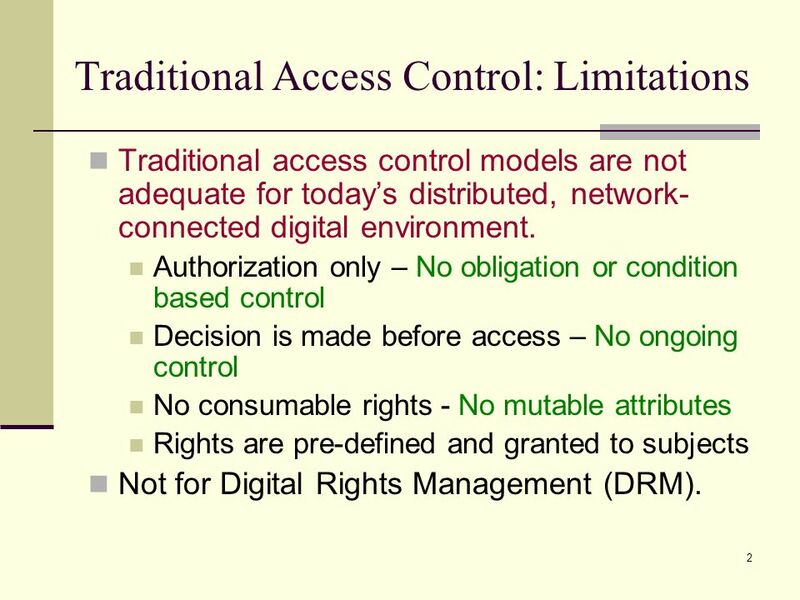 Authorization only – No obligation or condition based control Decision is made before access – No ongoing control No consumable rights - No mutable attributes Rights are pre-defined and granted to subjects Not for Digital Rights Management (DRM). 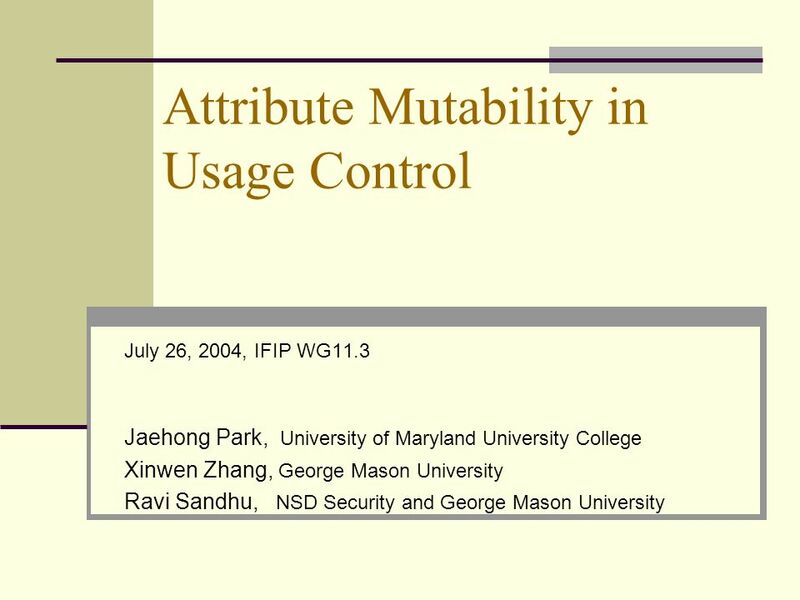 Download ppt "Attribute Mutability in Usage Control July 26, 2004, IFIP WG11.3 Jaehong Park, University of Maryland University College Xinwen Zhang, George Mason University." 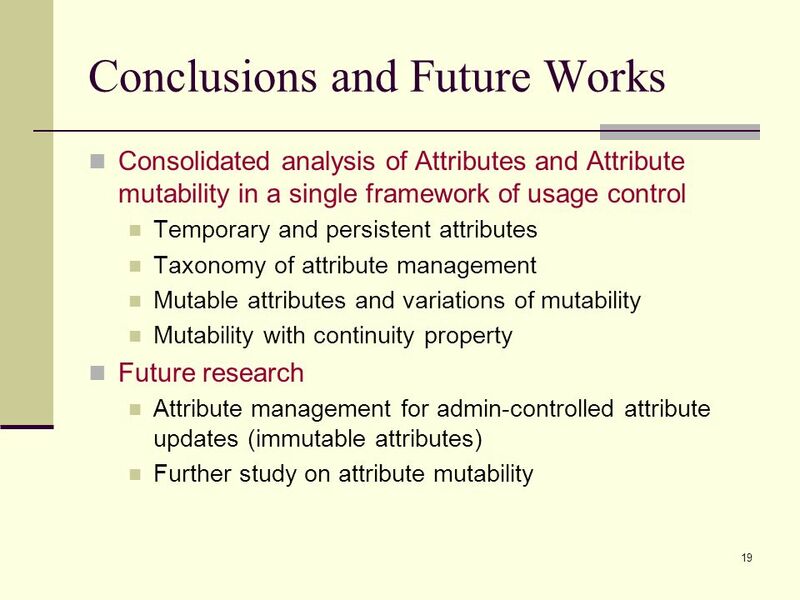 1 Formal Model and Analysis of Usage Control Dissertation defense Student: Xinwen Zhang Director: Ravi S. Sandhu Co-director: Francesco Parisi-Presicce. 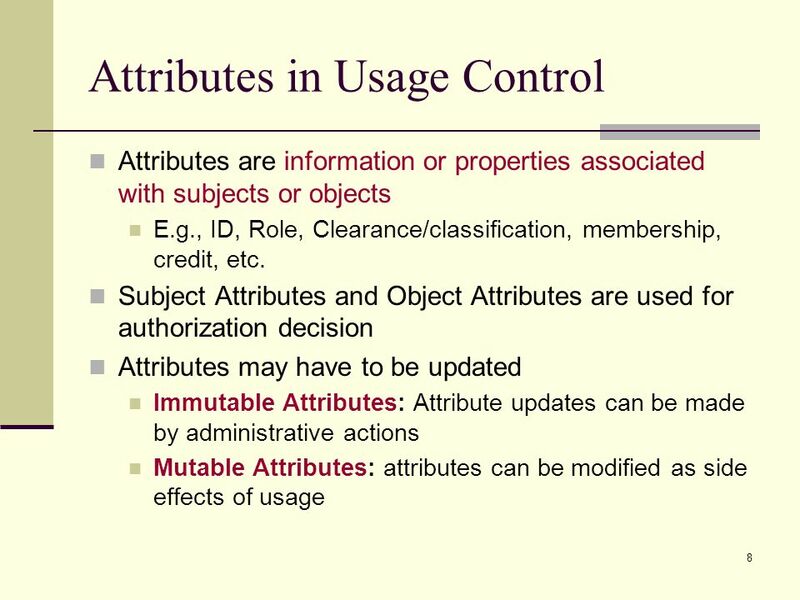 Cyber-Identity and Authorization in an Uncertain World Ravi Sandhu Laboratory for Information Security Technology Department of Information. 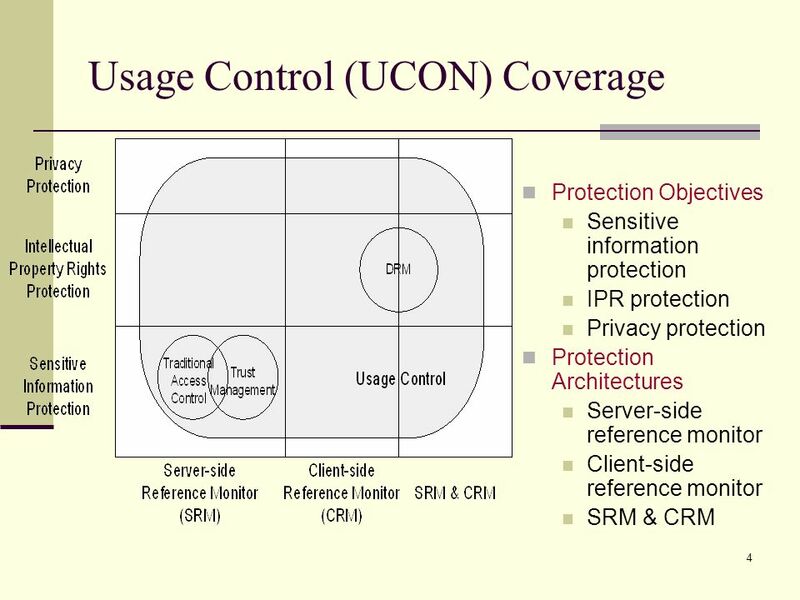 © 2004 Ravi Sandhu The Schematic Protection Model (SPM) Ravi Sandhu Laboratory for Information Security Technology George Mason University. 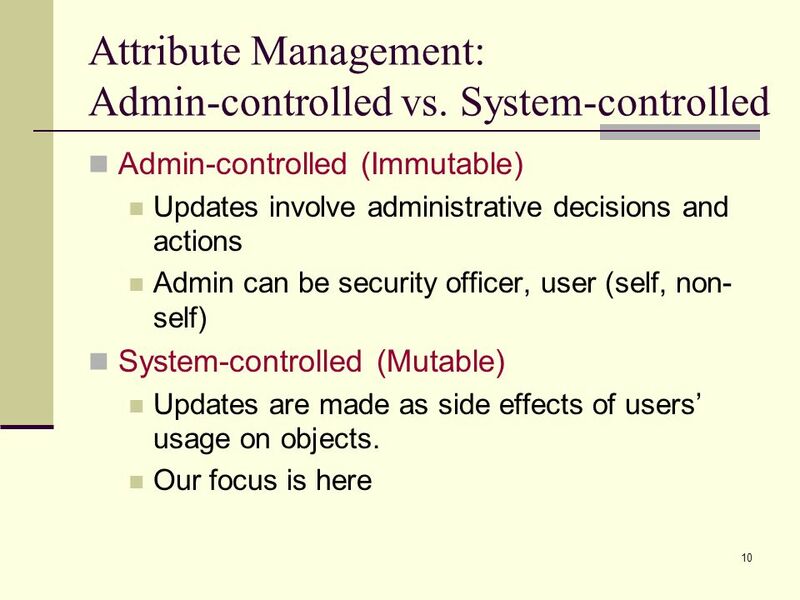 © Ravi Sandhu Cyber-Identity, Authority and Trust in an Uncertain World Prof. Ravi Sandhu Laboratory for Information Security Technology. 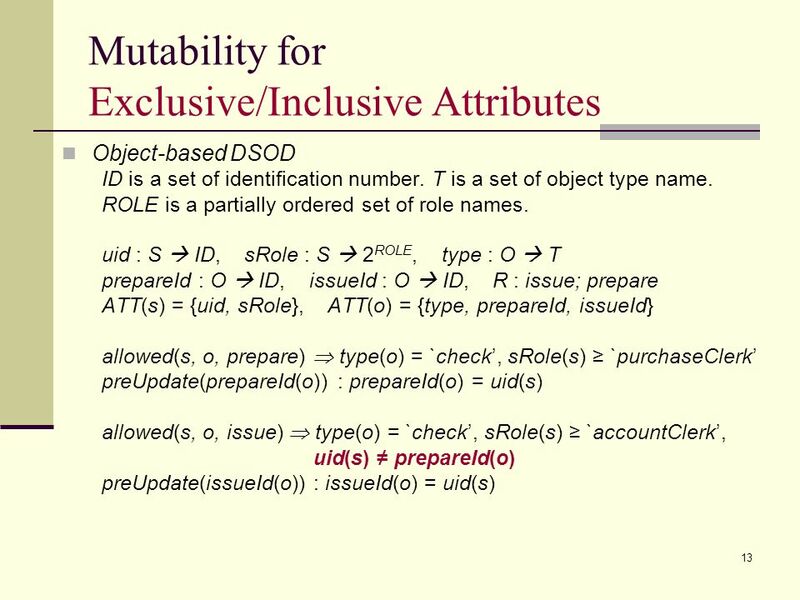 1 Framework for Role-Based Delegation Models (RBDMs) By: Ezedin S.Barka and Ravi Sandhu Laboratory Of Information Security Technology George Mason University. 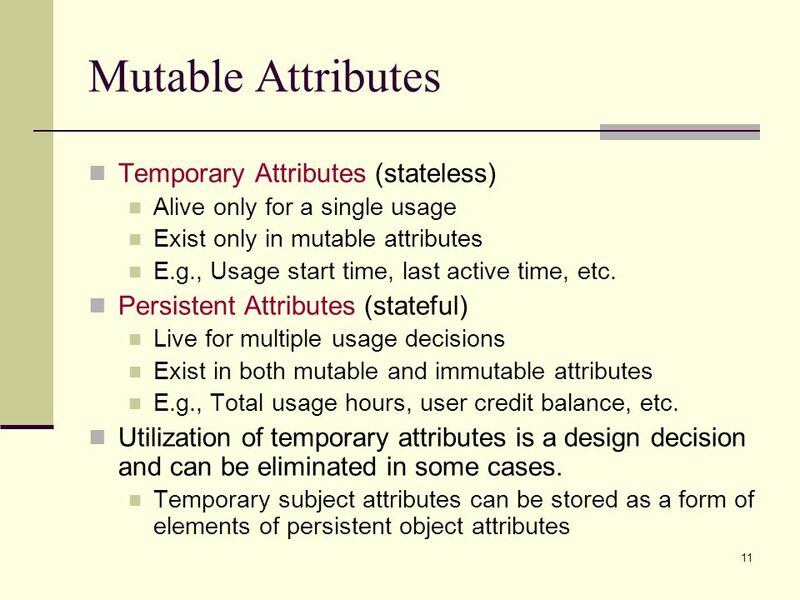 Stale-Safe Security Properties for Secure Information Sharing Ram Krishnan (GMU) Jianwei Niu (UT San Antonio) Ravi Sandhu (UT San Antonio) William Winsborough. 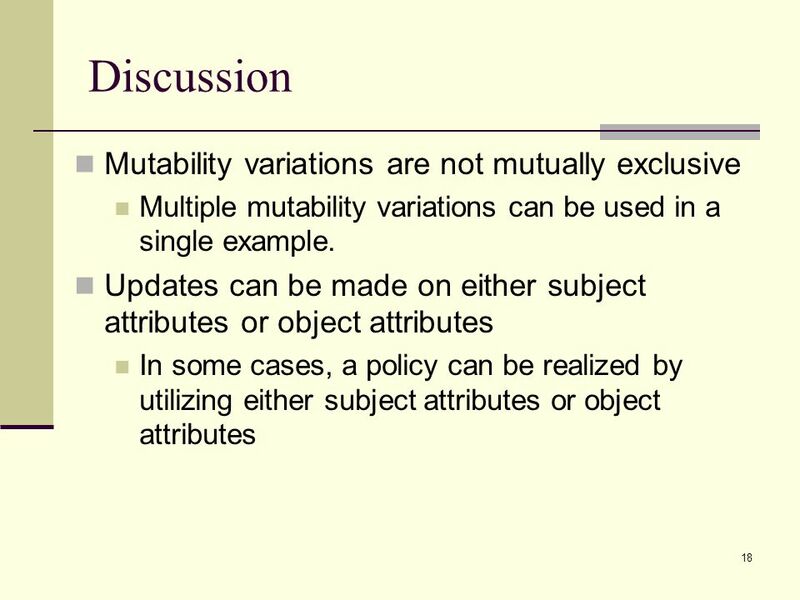 INFS 767 Fall 2003 The RBAC96 Model Prof. Ravi Sandhu George Mason University. 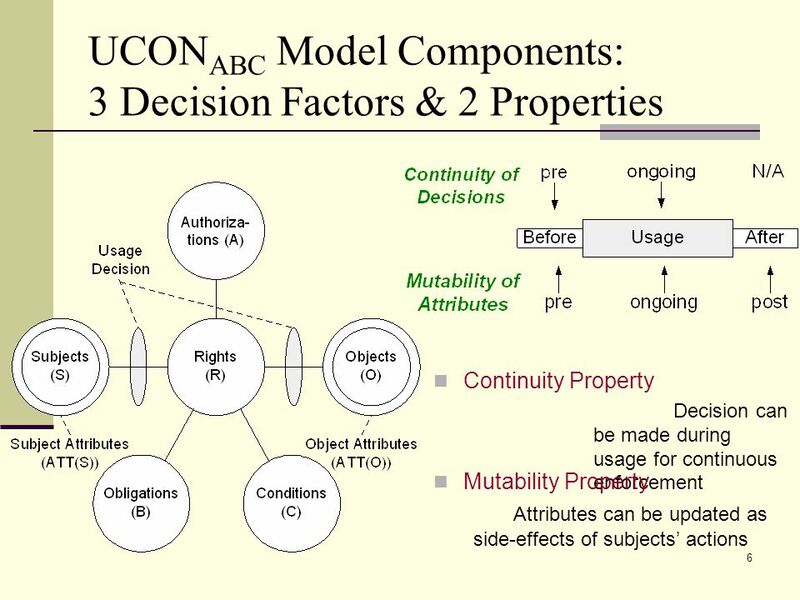 1 Safety Analysis of Usage Control (UCON) Authorization Model Xinwen Zhang, Ravi Sandhu, and Francesco Parisi-Presicce George Mason University AsiaCCS. 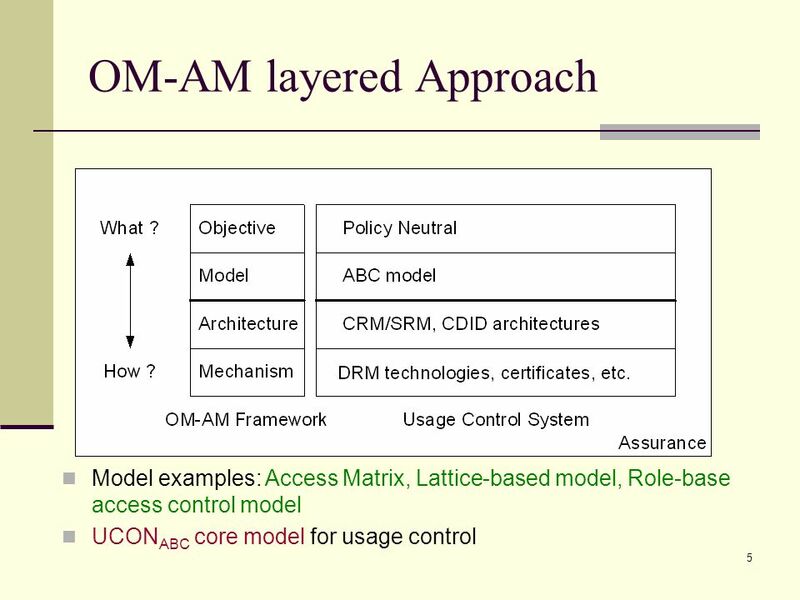 Towards Usage Control Models: Beyond Traditional Access Control 7 th SACMAT, June 3, 2002 Jaehong Park and Ravi Sandhu Laboratory for Information Security. 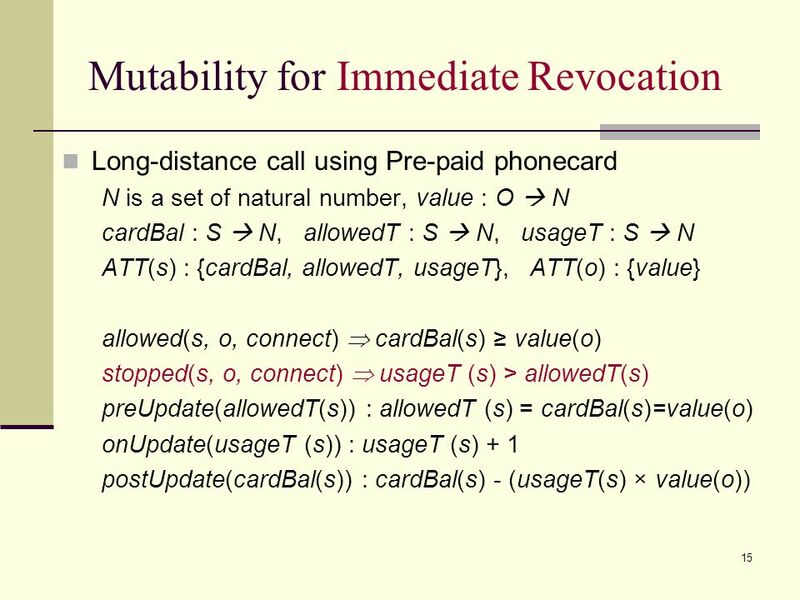 11 World-Leading Research with Real-World Impact! 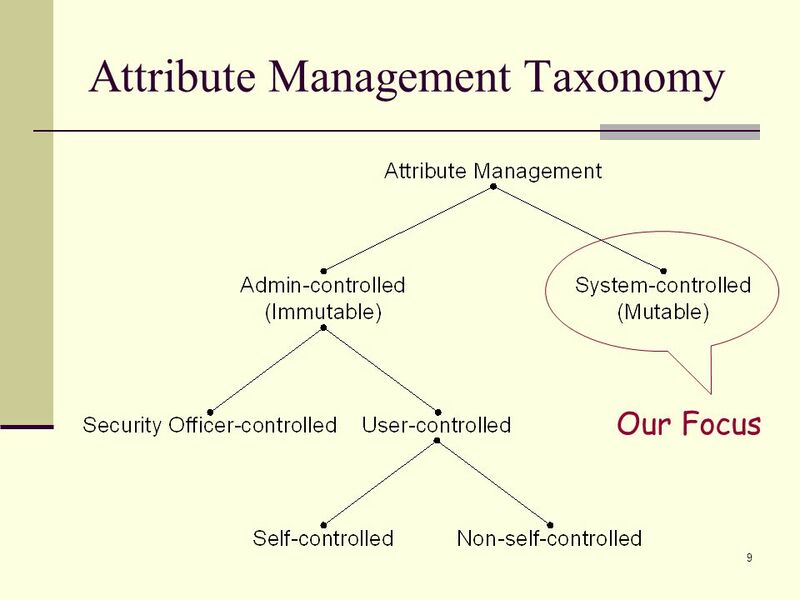 A Framework for Risk-Aware Role Based Access Control Khalid Zaman Bijon, Ram Krishnan and Ravi Sandhu.